You are currently browsing the archive for the THESE UNITED STATES category. 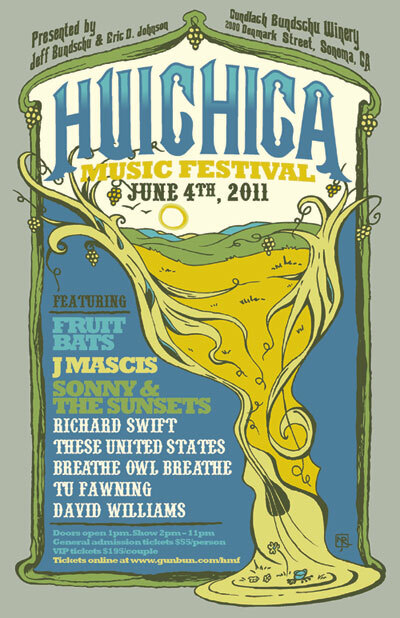 Huichica Music Festival is an annual all-day concert at Gundlach Bundschu Winery in Sonoma, California. Conceived by winery owner Jeff Bundschu and Fruit Bat’s frontman Eric Johnson after the band’s 2009 performance at the outdoor amphitheater.